Leesa is one bed in a box company that seemed to have captured the hearts of online reviewers, so naturally, we were eager to try out their latest product and see how it would fair in our stringent and controlled testing environment. The company promises a cool bed that will contour comfortably around your body whilst providing the needed core support and is so sure that its bed will deliver to this promise that it offers 100 nights free trial. During this period the customer has a choice of returning the product for a refund if it doesn’t deliver on the said promise. The company produces just one model of bed with a pledge of universality albeit in various sizes and conformations. So did it live up to the hype, read further to discover. So how does all this translate to the actual sleeping experience? The first layer is a composite blend of polyester-lycra material that is both stylish and elegant. The fabric is cool to feel and soft to touch. 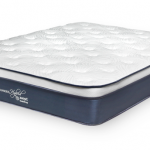 It fits snuggly to the bed and features seamless edges that give the mattress a rounded finish. There are two variations from which customers can take their pick. The classic Leesa and Airlifting Limited Edition. This option of customizability is one that scored big points from our review team. Its second layer measuring about 2 inches is made of Avena foam and has a density of 3.6lb/ft. Its characteristics somewhat resemble those of synthetic latex. This design is aimed at delivering a better form factor to the bed to cover for the shortcomings of the memory foam. The Third layer is a memory foam measuring about 2 inches. 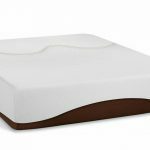 It is designed to deliver the promise of comfort and luxury by effectively contouring around the body of a sleeper and providing a pressure and push up feel at specific points. Given that the Avena foam further reinforces it, it does this with relative ease. The last layer is 6-inch base support layer with a density of 1.8lb/ft. 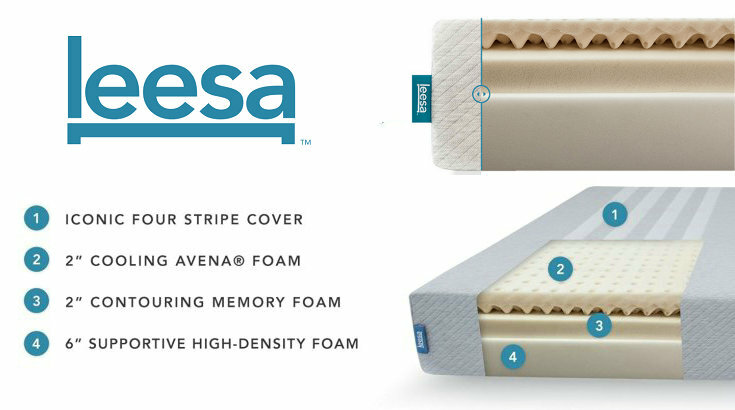 This relatively high density is an industry standard for support layer and enables the leesa foam to not only provide decent support to the sleeper but also increases the overall durability and longevity of the mattress. In all, these layers accrue up to form a mattress that is about 10 inches thick. On the average mattresses from similar competitors are about 8.5 inches thick. This means that the leesa mattress was able to compress the form factor by about 1.5 inches, and although thinner mattresses are somewhat inconvenient to tall individuals, this reduction is not too high an amount to warrant worry. The mattress weighs between 45 – 92lbs again this is dependent on the selected model. However, on the average it is 25% lighter than mattresses of the same dimensions from competitor brands, offering the advantage of being easy to move and handle. The leesa mattress spots a solid build that consumers have described as being moderately firm and tending to stand at the midpoint of extremely soft and extremely hard. Since the company only produces one model, this poses a degree of concern to consumers who are fans of a very soft or firm mattress. That said the mattress is a great buy for the average sleeper. Similar to other competitors in the market, the memory foam in the leesa mattress absorbs motion and impact force with relative ease, ensuring that there is no transmission of movements and vibrations through the bed. This feature is particularly important if you have a partner, as all disturbances accrued from tossing and turning is sure to be absorbed. One particular problem with memory foams is their ingrain tendency to retain heat; the leesa mattress, however, did a good job of reducing the heat accumulation when compared to similar mattresses from competition. Being a Certi-PUR certified mattress and carrying an eco-friendly branding we were quite surprised when some consumers reported that they experienced pungent odours and gassing. However after a few days using the Leesa mattress, aside from the peculiar smell that is characteristic of new mattresses we have yet to experience anything of the sort. Depending on the size of bed the Leesa mattress is moderately priced starting from $525. This is relatively cheaper in comparison with competitors. In the mattress making industry, from experience, I have discovered that a higher price doesn’t necessarily translate to premium quality. For us here at mattress-guides the leesa is lowly priced for the overall quality it delivers, this is expected as the supply chain of leesa is bereft of any middleman, as the company sells directly via an online store. Leesa as a company has opted for an exclusively online retail sales outlet, cutting out all intermediaries. Like I mentioned earlier this is cost efficient. One concern though is that this move will deny potential customers the luxury of testing the product before purchase, Leesa seems to have this covered with their ‘100 nights to fall in love’ return policy. Delivery on the average takes 2-4 days, and the package comes compressed, and vacuum sealed, probably to minimize costs. This doesn’t seem to negate the quality of the mattress though. Leesa offers an exclusive ten years warranty for their mattresses, this is the industry standard and displays the level of confidence leesa has in their product. Other memory foams with a much higher price offer a shorter warranty coverage, further emphasizing the fact that more money doesn’t necessarily translate to more value. Given the price, the Leesa Mattress delivers excellent quality and value for money. Boasting premium quality delivered in a compact and lightweight build form. The foam materials apart from being industry standard are also made from plant based raw materials a deviation from the usual petroleum-based raw materials thus making the Leesa mattress very much eco-friendly. The primary concern over the mattress, though, were the complaints we found online about its supposed inferior durability. Considering the build materials, this comes as a surprise to us, but as time goes on, we will be able to confirm the veracity these claim. In conclusion, the Leesa Mattress is a solid buy for the average individual, and with their 100nights guarantee, it’s a deal that cannot go sour. If you are seeking for an everyday bed that combines comfort and luxury with affordability, then we strongly recommend the Leesa mattress. Leesa have a great design on memory foam mattress and only offer one model with medium firmness mattress,that's suit for most of people,This is really good for side sleepers and back sleepers.And with avena foam to improve heat on the familiar memory foam mattress.In short, Great Value!